Bob Miller is a Partner and Chair of Calfee's Employee Benefits and Executive Compensation practice group. He counsels publicly traded and closely held businesses regarding qualified and non-qualified employee benefit plans, including pension, profit sharing and 401(k) plans; medical and welfare benefit plans; and executive compensation arrangements. Bob provides advice in dealing with plans through their entire life cycle, from design and implementation through merger or termination, for companies ranging from large, multinational corporations to professional service organizations. He is experienced in dealing with tax issues associated with retirement plans, deferred compensation plans, IRAs and welfare plans, and in analyzing coverage and nondiscrimination testing for qualified retirement plans. Bob also counsels clients regarding benefit plan issues in connection with mergers, acquisitions, dispositions, and transitions to new plan designs (such as from traditional defined benefit plans to cash balance plans, pension equity plans or cross-tested profit-sharing plans). Bob has been inducted into the American College of Employee Benefits Counsel, an organization of attorneys who have focused on employee benefits for at least 20 years and have written or spoken extensively on employee benefit issues. Bob has presented at organizations such as Worldwide Employee Benefits (WEB), the Cleveland Tax Institute, Cleveland Tax Club, Private Equity Roundtable, Columbus CEO Forum, and the American Society of Pension Professionals and Actuaries (ASPPA). He has presented to the ABA on a broad range of topics including hybrid plans, health care reform, qualified plans as investors in private equity funds, using retirement plans as part of a business entrance or exit strategy, the deferred compensation rules under Section 409A, M&A issues, the Pension Protection Act, financial aspects of qualified plans, and IRAs, joint venture employee benefit issues, cross-tested and age-weighted profit sharing plans, investment advice, investment and fee disclosures and fiduciary issues. Bob is an active member of the American Bar Association. He is a former chair of both the Employee Benefits Committee of the American Bar Association’s Section of Taxation, and also the Employee Benefit Plans and Other Compensation Arrangements Group of the ABA, Section of Real Property, Trust and Estate Law, as well as a former member of the ABA Joint Committee on Employee Benefits. He has previously served as chair of the Employee Benefits Subcommittee on Defined Contribution Plans of the ABA Tax Section. 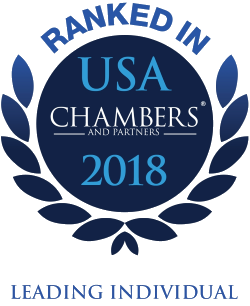 For over 10 years, he has been selected for inclusion in The Best Lawyers in America© (2008-2019) in the areas of Employee Benefits (ERISA) Law. He also was selected to the Ohio super Lawyers list from 2014-2016. Bob was an associate with the law firm of Letson & Jarrett before joining Calfee in 1988. He became a partner in 1996. Employee Benefits Subcommittee on Defined Contribution Plans of the ABA Tax Section, former chair.